Outstanding graduates from baccalaureate programs in engineering and science are encouraged to apply for admission into the Master of Science degree program in Fire Protection Engineering. The Master of Engineering is designed with the working engineer in mind and includes online and on campus classes. The information on this page pertains to applications for the M.S. Those interested in earning a M.Eng. degree should visit the Office of Advanced Engineering Education website. All applicants must hold a Bachelor of Science degree, typically in engineering, physical sciences, mathematics, from an accredited institution. Students who do not already hold a degree in engineering may be considered for provisional admission if the technical division minimum prerequisites are successfully completed. It is expected that full-time graduate students in the Master of Science program will complete their program of study within two years. All degree requirements must be completed within five years. In some cases, it may be necessary to complete certain undergraduate courses to fulfill necessary academic requirements. 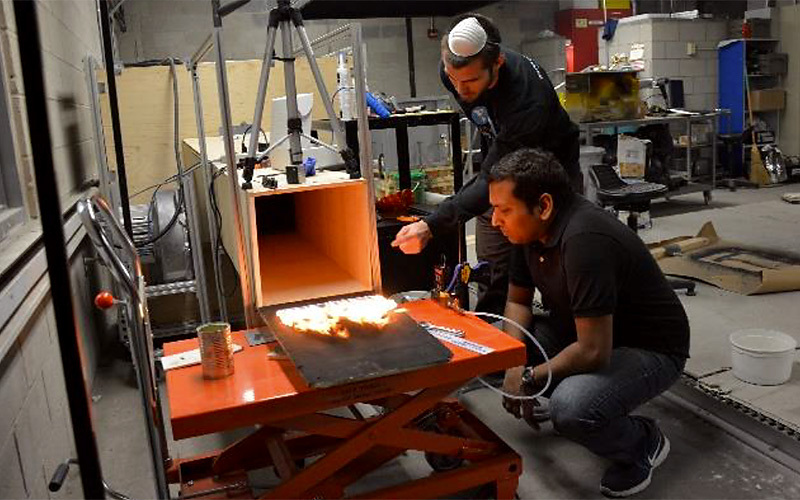 To be considered for admission to the Fire Protection Engineering Master's Programs, students need to have completed the following courses: differential equations, fluid mechanics, heat transfer, and a structural mechanics or strength of materials course. Applicants should have earned a four-year Bachelor's degree in an engineering or related field and attained at minimum a 3.0 (on a 4.0 scale) GPA. While not guaranteed, applicants with lower GPAs or GRE scores may be considered for provisional admission if other indicators of ability—letters of recommendation, prior experience, etc.—are exceptional. Applications will not be reviewed until the Graduate School Application has been fully completed and the $75 application fee has been paid. All incomplete applications and applications from international students who are not cleared for admission will be withdrawn by June 1 for the fall semester and December 1 for the spring semester. Applicants who do not register for the semester for which they are admitted will also have their admission cancelled. Regardless of your citizenship status, students whose native language is not English and who do not hold a degree from an institution in the U.S. or another English-speaking country are also required to submit proof of English proficiency via TOEFL or IELTS scores. Applications are submitted online via the Graduate School website. When creating your application account, ensure that your name matches the name listed on your official, government-issued identification. After responding to all required and relevant items, you may submit your application. Completed applications are reviewed by an admissions committee in each graduate degree program. The recommendations of the committees are submitted to the Dean of the Graduate School, who will make the final admission decision. Students seeking to complete graduate work at the University of Maryland for degree purposes must be formally admitted to the Graduate School by the Dean. To ensure the integrity of the application process, the University of Maryland authenticates submitted materials through TurnItIn for Admissions. Applicants are notified of the Graduate School’s final decision on a rolling basis through their online application portal. If you submitted a complete application before the deadline, you can expect to receive a notification of admission or rejection between February and May for the fall semester and September and November for the spring semester. For questions regarding the submission of your application, please visit blog.umd.edu/admissionsrequirements. If your question is not answered on this page, please contact the Graduate School directly since it manages the application process. 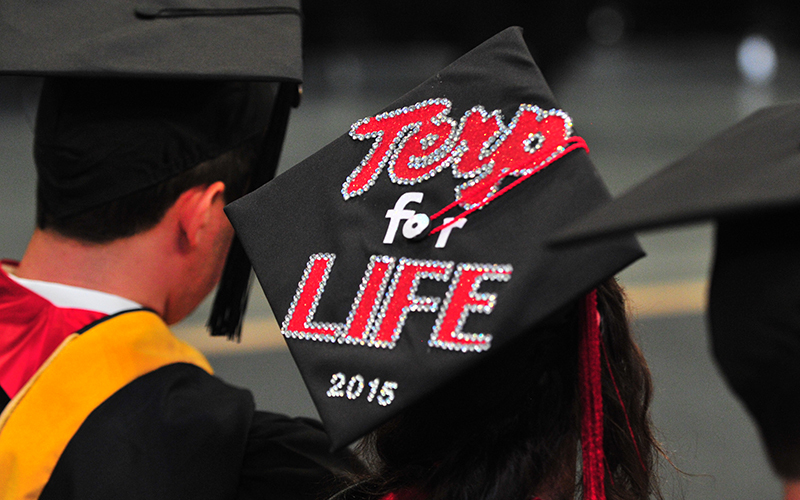 The University of Maryland is dedicated to maintaining a vibrant international graduate student community. The office of International Student & Scholar Services (ISSS) is a valuable resource of information and assistance for prospective and current international students. International applicants are encouraged to explore the services they offer, and contact them with related questions. For additional information, please visit our international graduate student page.